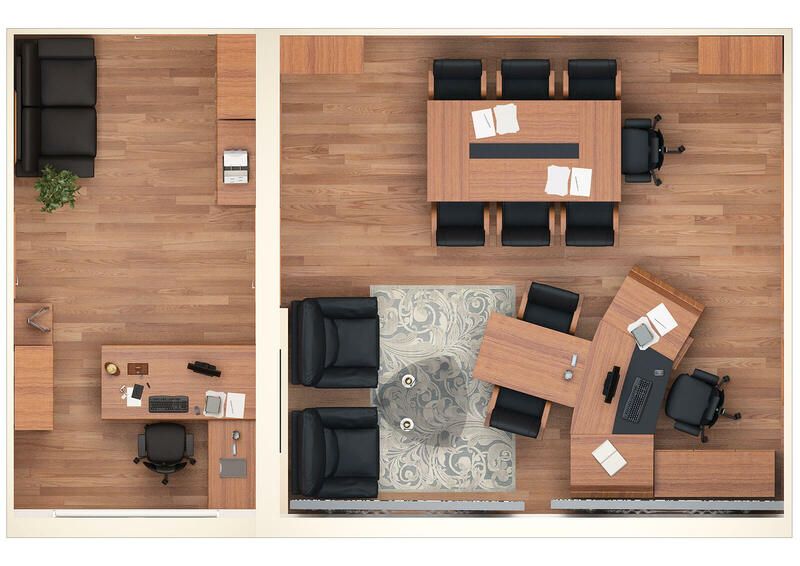 3D visualisation of the office, project company Office Next Project. 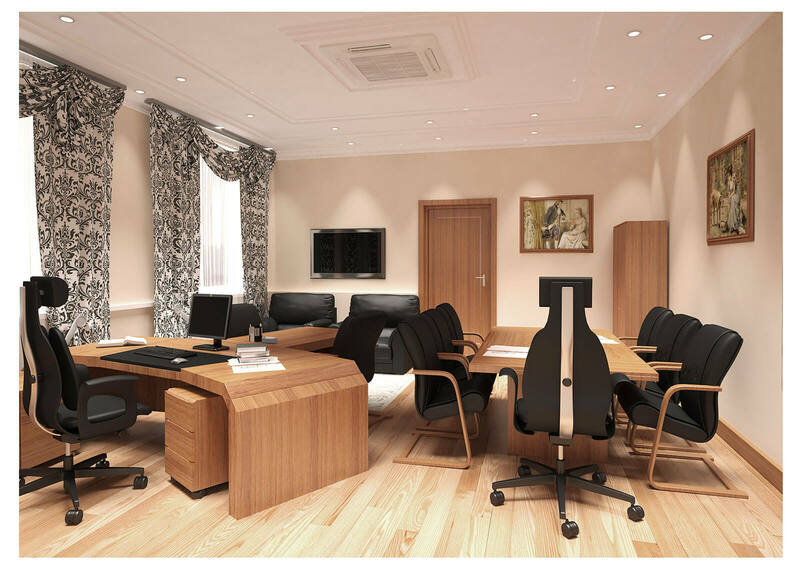 All 3D models of furniture were specifically modeled for this project. 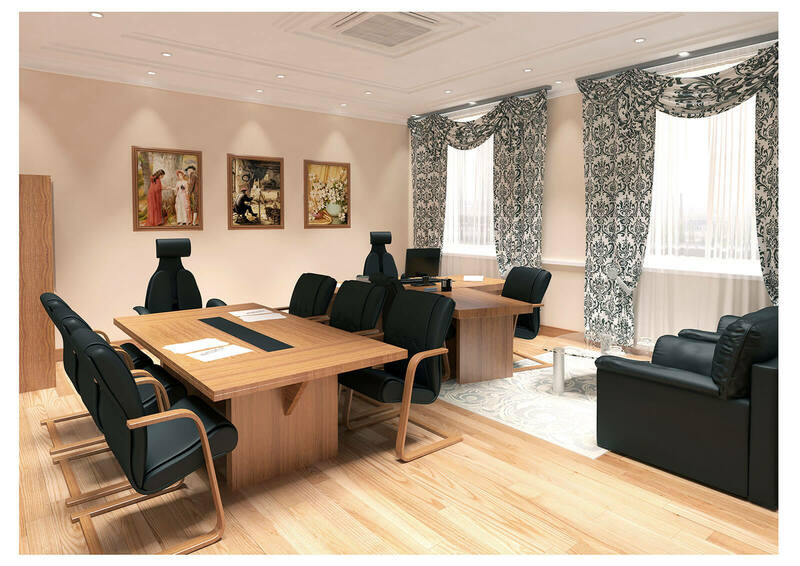 Classic modern style with posh office furniture.